Letter from Klamath County Commissioner Tom Mallams to California Water Board regarding Klamath hydroelectric dam removal 12/31/16. * Utility oks Klamath dam removal, NBC News 9/30/09. "The turning point came in May 2008, when an aide to former Interior Secretary Dirk Kempthorn summoned Brockbank to a meeting at a U.S. Fish and Wildlife Service training center in Shepherdstown, W.Va. 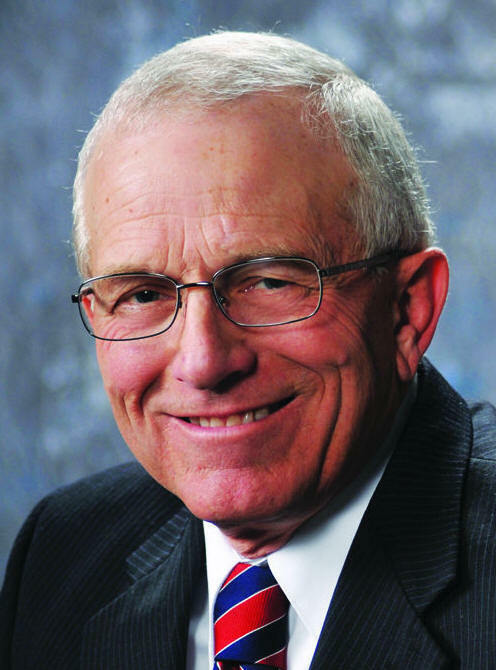 They were locked down for a week with representatives of the Bush administration and the governors of Oregon and California, Brockbank said.They "made it very clear from a public policy point of view that they did not want these dams relicensed," Brockbank said. "Once that became abundantly clear, we shifted our framework from relicensing to a settlement involving a possible dam removal framework." * Joint letter from Klamath County Commissioners and Siskiyou County Supervisors opposing SB2379 - Klamath River Dam Removal and Klamath "Agreements" 11/21/14. (Siskiyou County) Supervisors: Seek more solutions than removing dams, Guest Commentary for H&N 10/30/16. "...the 20-30 million cubic yards of sediment that has collected behind the dams, and would be released down the Klamath River after dam removal, has not been adequately evaluated to address the adverse local and environmental impacts. Nor has the possibility of catastrophic floods, either during dam removal activities, or thereafter, been fully analyzed..."
Dam removal won't help salmon return, letter to the editor by Richard Marshall, President Siskiyou County Water Users, Yreka, for H&N, 10/27/16. "Please remember to vote no on the Klamath County advisory ballot regarding removal of Klamath dams. The removal of the dams — the largest dam removal project in history — would result in catastrophic damage to this wonderful river and do nothing to advance the cause of salmon.The salmon were never in the upper basin because the water is too shallow and warm for salmon propagation. If the proponents actually believe the salmon will survive then why don’t they accept the challenge to prove it by using trucks and haul them for the next few years to see if the salmon actually survive..."
Linthicum will sustain fight for rural areas, H&N letter to the editor by Virginia Topham, Sprague River 10/22/16. "Dennis Linthicum is opposed to the plan to destroy the Klamath River dams..."
Install fish ladders, no on dam removal, by Howard Paine, Klamath Falls, letter to the editor of Herald and News, posted to KBC 10/16/16. "When the president of Pacific Power visited Klamath Falls in 2008, he bragged about the clean power these dams produce. 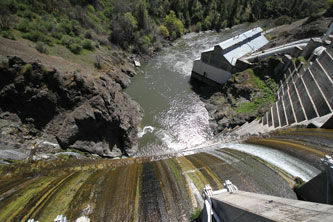 He said, “The dams produce enough emission-free energy to offset the emissions of 102,000 cars or burning 1.23 million barrels of oil a year"...Removing the Iron Gate Dam would remove the Iron Gate Fish Hatchery which produces 5 million salmon smolts each year — 17,000 of which return annually as full-grown adults to spawn." Voters at last have voice on dam removal, Tom Mallams, Klamath County Commissioner Letter to the editor of H&N 9/3/16. "I still find it extremely troubling that a few dam removal supporters and PacifiCorp went to such great lengths in their attempt to prevent voters from having their voices heard..."
PRESS RELEASE: ITSSD seeks added public transparency and accountability: files revised Bureau of Reclamation FOIAs and Oregon State Government public records requests 7/25/16. These FOIAs and public records requests, BELOW, are regarding the Klamath Settlement "Agreements" which effect water rights, support destroying Klamath River hydroelectric dams, .... There are names listed: Dan Keppen, KWAPA, Greg Addington, Becky Hyde, to name a few, included in the requests for information. * ITSSD (Institute for Trade, Standards, and Sustainable Development) FOIA (Freedom of Information Act) "requesting that the U.S. Bureau of Reclamation release in paper or digital form the following agency records: ..."
* ITSSD "Second Revised FOIA Request is hereby filed requesting that the U.S. Bureau of Reclamation Mid-Pacific Regional Office release in paper or digital form the following agency records:..."
* ITSSD - "Pursuant to the Oregon Public Records Law ORS 192.440, it is hereby requested that the Office of the Governor of Oregon release in paper or digital form the following agency public records:..."
* ITSSD - Pursuant to the Oregon Public Records Law ORS 192.440, it is hereby requested that the Oregon Department of Energy (“ODE”) release in paper or digital form the following agency public records:..."
* ITSSD - "Pursuant to the Oregon Public Records Law ORS 192.440, it is hereby requested that the Oregon Department of Environmental Quality (“ODEQ”) release in paper or digital form the following agency public records:..."
* ITSSD - "Pursuant to the Oregon Public Records Law ORS 192.440, it is hereby requested that the Oregon Water Resources Department (“OWRD”) release in paper or digital form the following agency public records:..."
* ITSSD - "Pursuant to the Oregon Public Records Law ORS 192.440, it is hereby requested that the Oregon Department of Fish & Wildlife (“ODFW”) release in paper or digital form the following agency public records:..."
Comments can be made on local (Klamath) dams, letter to the editor of H&N by Danny L Hull, Klamath Falls 6/5/16. " I approve and vote for the Federal Energy Regulatory Commission conclusively rejecting — per Docket Number P-2082-027 — both destroying all Klamath River hydroelectric dams, and destroying each dam of any Klamath River hydroelectric dam(s). Someone else's choice = your sacrifice, posted on the www.klamathbasincrisis.org / KBC News Discussion Forum April 12, 2016. "Over the past 25 years over 800 dams of various sizes have been destroyed in our nation alone. That is a bit scary since one of the big differences between first and third world countries is found in the existence or absence of fully functioning dams...Not too long before the seemingly treacherous and unsupported agreement to remove four Klamath River dams was signed (with blatant indifference to voter or congressional approval) it was more than a little disquieting to find out that Dan Keppen, (former head of the Klamath Water Users Association) had met with the Obama Whitehouse and United Nations associates in person to discuss water issues, water policy and resolution templates including the Klamath Basin Restoration Agreement (KBRA) etc..."
Stop whining and let Whitsetts live in peace, H&N 4/9/16. Oregon lawmaker says new Klamath dam removal plan may be illegal, Capital Press, posted to KBC 4/10/16. From the archives: 'Game' was rigged to limit participants, H&N letter to the editor by Werner Reschke, Malin 10/25/15, "the game has been rigged by the “stakeholders” (tribes, environmentalists, fishermen, some in agriculture) so they become the winners. The rest of us are the losers: more national debt passed to our children and increased power rates from the destruction of four hydropower dams — the cheapest power source in Pacific Power’s portfolio..."
Klamath County Commissioners' letter to FERC regarding Klamath Dam Relicensing Project 3/23/16. "The Klamath County Board of Commissioners is extremely concerned over the possible Klamath River Dam relicensing versus removal process...There have been numerous studies completed with again, contentious, debatable results..."
1/18/16 - Notice of Potential Termination of the KHSA / Klamath Hydroelectric Settlement Agreement, from KWUA / Klamath Water Users Association to 'Parties to the KHSA.' "The Klamath Basin Restoration Agreement (KBRA) has terminated due to lack of federal legislation authorizing the KBRA. The KHSA is not divisible from the KBRA."